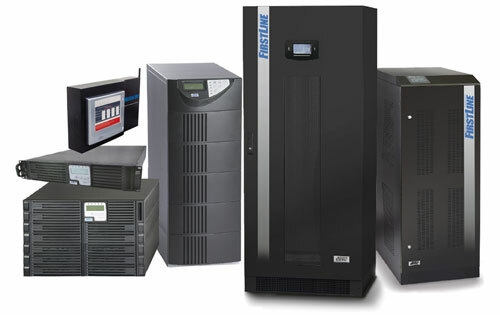 DESI offers Uninterruptible Power Supplies (UPS) from a wide range of manufacturers. No single company manufacturers UPS’s that meet the requirements of virtually all applications. Our goal at DESI is to provide as many UPS solutions as possible to our customers regardless of what the specifics of the application require. The number of manufacturers whose products we sell enables us to be a most versatile supplier. Sizes range from 250VA to 4,500KVA (4.5MW). Technologies available include Standby, Line Interactive, Double Conversion and Ferro-resonant. Single and Three Phase, 50 & 60 Hertz, 120-480 Volt. Harsh environment (indoor & outdoor) - Industrial. New, Refurbished and Remanufactured UPS’s available. Please contact us if you think we can help you in selecting the best UPS solution to meet your application requirements.